A highly adhesive solvent based penetrating primer that locks into the substrate providing a mechanically stable surface. 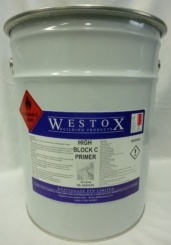 Used on masonry, fibre cement sheets, cementitious surfaces and over existing sound paint. 8 – 10m2 per Litre. Touch dry in 20 minutes @ 20ºc.